Dr Rami explains why using video in a telehealth consultation is considered better than a phone call or text message. Here are two scenarios to illustrate his point! The doctor observes the child’s general activity, general behavior and manners. Based on that he can tell if the rash is an isolated skin condition such as an insect bite or an allergic reaction or part of a bigger problem. For example, Rheumatic Fever is a condition that is caused by a bacteria but affects multiple systems at the same time. Video is important to recognize and separate syndromes from isolated conditions. • A young professional female calling because she feels exhausted and fatigued and wants a sick leave from work. • The doctor sees that she is at home, it is dark, sees clothes thrown around everywhere and the room is a mess, she is overweight and is calling at 11 am on a weekday. After taking a concise history and ruling out an organic illness, the doctor picks up that it might be a psychological problem such as depression. 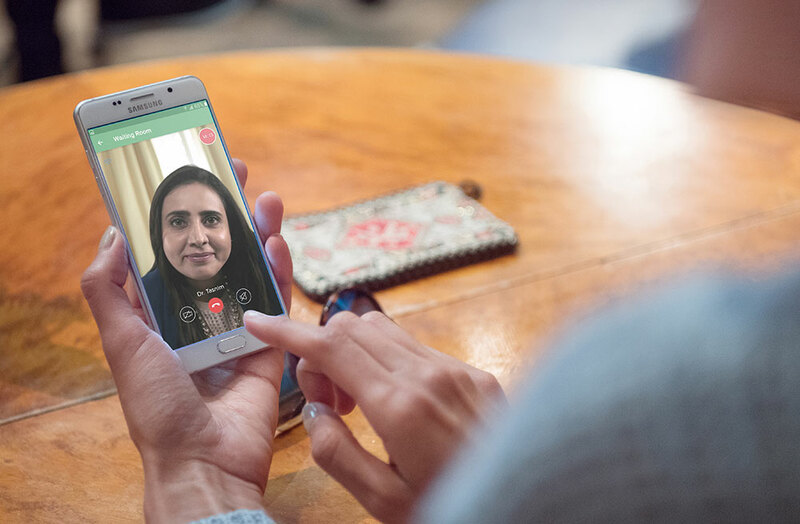 The diagnosis is supported by subtle clues from the home environment, that can’t be picked up if the patient visits a clinic, but can be picked up via video. Face to face doctor consulations on your phone. Handy, right? Sign up today!